The small island of the Certosa that hosts the residence where you will be accommodated during this stay has a long and fascinating history. The island’s hallmark is its incredible historical and environmental heritage. Its name derives from the Carthusian Fathers who lived there for many centuries until the church, cloisters and works of art of the ancient monastery were destroyed and plundered by the military who occupied Venice with the fall of the Serenissima Republic. The Certosa also suffered a long period of abandonment in the middle of the twentieth century. The restoration work on the island was the initiative of a group of young volunteers to create a park for the city. The route offers the visitor an education on its fascinating history, the civic engagement involved in the restoration of a city park, and the various aspects of the island’s natural environment, history, and agricultural and artisan produce. Welcome dinner and cicheti tasting (traditional Venetian appetizers). 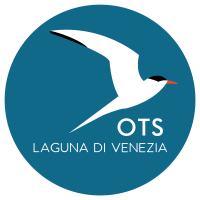 Follow us on our untrodden path, an alternative which is a world away from the mass of tourists, on routes that follow the rhythms of the city and its inhabitants, on a quest to explore the true essence and character of Venice. An amazing way to visit the city and the lagoon is to navigate in close contact with the very element that gave rise to the city and which makes it unique: water. Glide effortlessly over the briny water in a canoe. Water that surrounds the islands and laps at the ‘barene’ salt marshes, salty meadows that are home to a myriad of plants and animals, all perfectly adapted to this environment. By paddling very slowly, with the silence as your only companion, you will have time to behold a world that, seen from the canoe, is pure space and time. You can choose from several canoeing itineraries. And with just a few practice paddles and some instruction from our expert guides, everyone quickly gains enough confidence to set off in their canoe. Explore the city from an unusual perspective, following the inner canals in the district of Castello and Cannaregio, passing under the bridges and next to the fondamenta (pedestrian walkways by the side of the canals), almost within touching distance of the palaces and houses that seem to have arisen from the waters. Burano is a very lively island famous for its colourful houses and for its lace craftsmanship offering real works of art made with needle and thread. It also provides glimpses of scenery which are a far cry from the usual ‘classic’, standard itineraries. The Lace Museum stands as a great testament to this tradition. Housed in an artisan school dating back to 1870, it traces the history of lace making since the sixteenth century. The island of Sant’Erasmo is considered an oasis of peace and tranquility, far from the chaotic hordes of tourists in nearby Venice. This island, the largest in the northern lagoon, has since the Middle Ages been the place where the fruits and vegetables supplying the city have been grown. The bike route takes you along the perimeter of the island, among cultivated fields, canals and lagoon landscapes with good views of the typical horticultural crops and the natural environments of salt marsh and beach of the known island as “the vegetable garden of Venice”. Each season in Venice’s vegetable garden yields its own particular produce and there’s always plenty to see and try: ‘castraure’ (purple artichokes), early artichokes harvested to stimulate the growth of the main crop, or why not pick carletti and bruscandoli or campion and hop sprouts, which are used for flavouring omelettes and risotto. The 13 km route is easy and all flat. Bike tour between sea and lagoon along the coastal strip protecting Venice. In 1900, the Lido was a meeting place for famous artists and writers from all over the world and is still the place of the Film Festival. We cycle our way from the centre of the island to the beach, where you will find the famous Art Nouveau hotels, then along the coastal dam to the Alberoni nature reserve. Here you can take a short walk through the natural dunes of the oasis. After disembarking from the ferry on the island of Pellestrina, we continue to the charming fishing village where a fish lunch awaits us on the terrace overlooking the quiet waters of the Laguna at the island’s renowned restaurant. We continue by bike for a small stretch to the island’s huge protection barriers, the Murazzi, which was the final construction project of the Republic of Venice in the eighteenth century. To learn about one of Venice’s most fascinating traditions, you have to experience Veneto rowing which will explain a technique born of the need to navigate between small canals and in very shallow water. The lesson is conducted by the all-female team, made up of experienced rowers, rowing champions, or those who compete in the Venetian regattas. This is a group of truly tenacious women who have turned their passion for rowing into a complete lifestyle with the aim of keeping this ancient Venetian tradition alive. The Venice Certosa Hotel is an exclusive resort located on the Certosa Island, just 15 minutes by waterbus from Piazza San Marco. The hotel offers you the experience of remarkably special accommodation in Venice – the enchanting City on Water immersed in the tranquillity of a park in the lagoon – itself of priceless natural heritage and within easy walking distance of all the islands. The Hotel offers modern rooms with continental breakfast and bar, lounge, restaurant, meeting and conference rooms, shuttle and private transport.